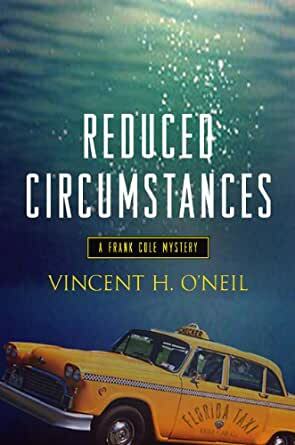 Reduced Circumstances (Frank Cole Mysteries Book 2) - Kindle edition by Vincent H. O'Neil, Henry V. O'Neil. Professional & Technical Kindle eBooks @ Amazon.com. Fact-checker Frank Cole is moonlighting as the evening dispatcher for the Midnight Taxi Service. It is a quiet Spring Break in the Florida panhandle until a nervous teenaged boy flags down a Midnight cab near a parking lot full of flashing police lights. The next evening, suspicious strangers start appearing at the taxi stand, asking Frank about the boy and where he was headed. The ride speeds up after that. The driver who took the fare runs off, the teenager is revealed as a man with a past, his beautiful blonde girlfriend joins the chase, and a dead body turns up holding a Midnight Taxi Service roadmap. Once again, Frank Cole has to answer questions about a dead guy he never even met in life. “Frank, Frank, you’ve got to help me!” She clung to me tightly, and while this was not unpleasant I had to remind myself that this was the same girl who could enter a room, sit and eat a sandwich, and leave without touching anything that would take a fingerprint. I tried to pry her loose, but she was a lot stronger than her size said she’d be, and she locked on fiercely. “It’s okay, it’s okay.” I offered, trying to regain control of the situation. Things like this don’t usually happen at my place, and never at one in the morning. I finally got a good grip on her upper arms and pushed her back a few inches. She’d definitely been crying, and she looked ready to have a nervous breakdown, so I put an arm around her before leading her into the living room. Well, I have finally "caught up" with Vince O'Neil's classic murder fiction centered around under-employed Frank Cole, so I will be ready, willing, and able to finish up his alter-ego's Sci-Fi Henry V. O'Neil's Sim War final books. Any reader who likes the old "classics" of murder mystery fiction will like O'Neil's fiction. Frank Cole continues his "exile" in Exile, Florida now working as a taxi dispatcher, who has the time to continue as a "fact checker" - not a tradtional PI. The books starts slow and the pace of the plot picks up rapidly. O'Neil has created a really interesting menagerie of "characters" living in Florida that could be neighbors with the cast of Carl Hiassen's Florida. Howev er, Frank Cole really needs himself to read O'Neil's earlier fiction, so he doesn't run headlong into dangerous situations, when he simply should cal 9-1-1. Strong work O'Neil. I really hope that you can return to Frank Cole when you have finished with your current Sci-Fi series. 5.0 out of 5 starsO'Neil and Frank Cole x 2 Success! Vincent O'Neil has written another fine novel in this second of a (I hope) long series. If you missed the first book, go read it, but if not you can easily get up to speed in this one. What I like about this series is that the hero is not a super cop on steroids or a private eye who solves the world's problems in 100 pages. Frank Cole is a believable character who uses logic, judgment, and some smarts to solve at least most of the mystery. I don't want to give the plot away but it is a very good read and a worthy second novel. Similar in style to Sue Grafton and Robert Parker, O'Neil is a great writer on the way up. Waiting for the third in the series, hopefully not waiting another year. 4.0 out of 5 starsA Taxi dispatcher's tale of mystery! My first read of O'Neil, it is fun to see how he depicts Florida and some of the "characters" who winter in the state. Sometimes the plot is a bit slow to develop but the author does so gently. Pace in the book picks up continuously. A good read making me want to read more of his work! Frank Cole is just struggling to survive after an unfortunate business failure. 5.0 out of 5 starsthe cabbie underworld? I really enjoyed the second book in this series. Frank Cole's description of being the night dispatcher for cab company is realistic and funny. Frank's self-imposed poverty and interactions with Florida cops is great. The whole fact-grid thing is very interesting and a neat tie-in to a book one favorite character. The new characters and plot twists make this a fun book to read. A wonderful book for fans of modern southern murder mysteries! Vincent H. O'Neil's inimitable beach bum/amateur sleuth Frank Cole is back in Reduced Circumstances (2007), his followup to Murder in Exile (2006). Things have quieted down for Frank since solving the Eddie Gonzalez case in Exile. In fact as fast as fact checking is concerned, business is just about non-existent. Although Frank's peculiar bankruptcy case prevents him from earning too much money, he does still have living expenses. So, to deal with the light times as a fact checker, Frank finds himself working as a night dispatcher for the Midnight Taxi Service near his home in Exile, Florida. The taxi stand is where Frank first hears about the kid. The young man was seen hailing a Midnight cab near a drug bust the night before--interesting but not exactly big news. Of course that's before a parade of visitors drop by the cab stand trying to find the kid and the MIA driver who picked him up the night before. First there's the private investigator from Atlanta, then the possible bounty hunters from Mobile, and finally the kid's girlfriend--a blond femme fatale of sorts who never seems to leave a fingerprint in her wake. Suddenly Frank finds himself a person of interest on all side of the investigation despite having little in the way of information to share. Urged on by equal parts curiosity and necessity, Frank begins to investigate the kid and his mysterious disappearance trying to figure out why exactly so many people want to find him. And who, if any of them, want to find him alive. Murder in Exile was a lot of fun. Amazingly, and happily, this installment in the series is even more enjoyable. 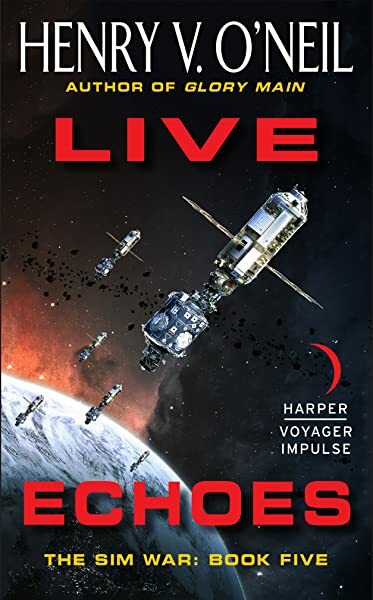 The narrative also provides ample yet brief recaps of Frank's adventures in the first book for anyone who might be fuzzy on those early details. Reduced Circumstances is an interesting blend of character study and mystery. The elements for both are here and used well to create a breezy read that leaves readers with a satisfying investigation and more insight into Frank's personality and life. Because Frank comes to the world of investigation from a fact checker's side of things, the novel also provides a unique look at the world of online research and a commentary on just how much information can be found online. O'Neil keeps these segments just the right length to stay interesting for the typical readers and any information professionals who should happen to pick up the book. 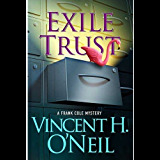 While the investigation wraps up nicely, the novel does still end with a slight cliff hanger that will leave readers eager for the next installment in the series Exile Trust (2008).